Easy-to-use Scepter™ SmartControl™ fuel containers are the must-have product to help families prepare for spring chores, landscaping and outdoor activities. Easy-to-use Scepter SmartControl fuel containers make spring chores easier. Whether it’s using a tiller to start a garden or preparing the family boat for the first fishing trip of the season, consumers rely on fuel to jumpstart their spring activities. Finally … the snows have melted and people are headed outside to repair winter weather damage to landscaping, prep lawns and gardens for the season, and get their families ready for warmer weather. What’s the key common denominator? Most of these activities require fuel to get going ... and that's where Scepter SmartControl fuel containers can help. For those homeowners needing new or additional containers, Marshall recommends investing in easy-to-use Scepter SmartControl fuel containers. Available in one-, two- and five-gallon gas, kerosene and diesel sizes, the durable SmartControl containers can be filled and safely stored in garages and sheds. Marshall reminds consumers that gasoline sitting unused for many months should be safely discarded, because its components can deteriorate. 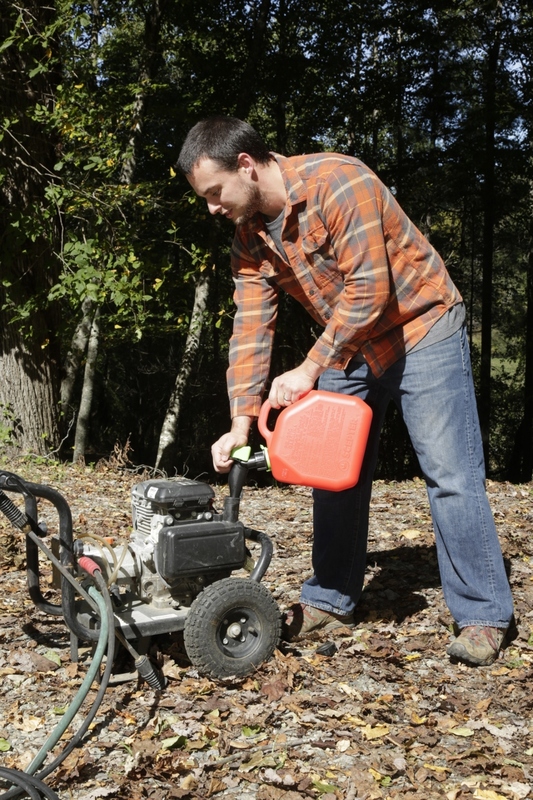 Additionally, gasoline used for winter chores (like powering snow blowers and generators), is probably a “winter mix” and is a unique blend of gasoline. As consumers start their warm weather chores they should get a new “summer mix” of gasoline in their storage containers. 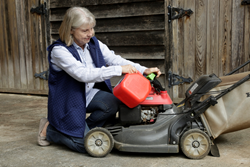 Changing gasoline out with the seasons keeps it fresh to help fuel spring and summer activities. Whether it’s power washing the driveway, blowing dead leaves from underneath shrubbery or trimming the lawn, a variety of spring chores automatically pop up on the “to do” list once the weather turns warmer. SmartControl containers can help jobs get done quickly and efficiently around the house. The innovative spout design of SmartControl makes it easier than ever to fuel equipment. The spout provides a clean, fast, and hassle-free pour and helps save gas for where it’s needed by eliminating messy spills. The user-controlled flow valve with its flame mitigation device (FMD) makes it effortless and safe to direct the amount of fuel being dispensed. And, because the container stores with the spout on, hands always stay clean. With a single motion, the user simply presses the lever up to unlock the child safety feature with the palm of the hand, and then squeezes the large button. This first squeeze is done when upright to vent the container. Then, place the nozzle over the tank and squeeze again to pour just the right amount of fuel. Recipient of the “Best in Class” Award at the 2018 National Hardware Show, SmartControl containers are constructed in the U.S.A. of durable and safe high-density polyethylene. SmartControl containers can be found throughout the U.S. in The Home Depot®, Walmart®, Lowe’s®, AutoZone®, Pep Boys, Target and Northern® Tool + Equipment stores. With operations throughout North America, Scepter has manufactured containers for the consumer, marine and military markets for almost 70 years. SmartControl and other Scepter products are available at major retailers and home improvement centers throughout the country. Scepter reminds product users that it is never safe to use gasoline to start or accelerate a fire. Visit http://www.scepter.com for more information. NOTE: Media interested in reviewing the SmartControl gas container should contact Kathy Ziprik at ZiprikPR(at)gmail.com. Scepter SmartControl fuel containers are ideal for around-the-home yardwork.